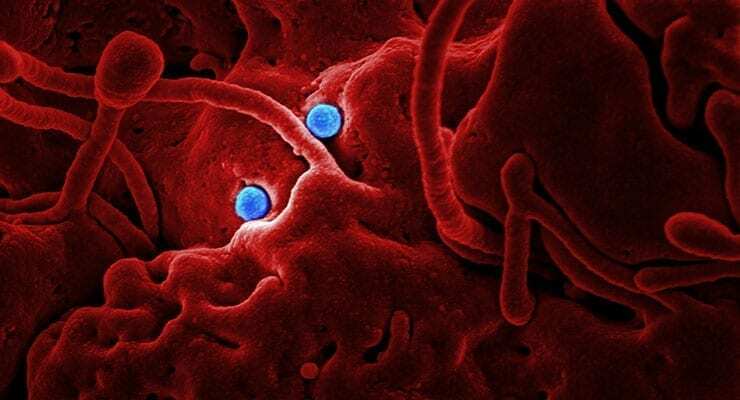 As the South Korean epidemic of Middle East Respiratory Syndrome (MERS) continues unabated, researchers have raced to find treatments for the deadly virus, which has killed more than 400 people since it was first discovered three years ago in Saudi Arabia. Now, scientists at the University of Maryland School of Medicine and Regeneron Pharmaceuticals, Inc., have discovered and validated two therapeutics that show early promise in preventing and treating the disease, which can cause severe respiratory symptoms, and has a death rate of 40 percent. These therapeutics are the first to succeed in protecting and treating animal models of the MERS virus. The study appears today in the latest issue of the journal Proceedings of the National Academy of Sciences (PNAS). The two antibodies, REGN3051 and REGN3048, showed an ability to neutralize the virus. This research, done in collaboration with Regeneron, a biopharmaceutical company based in Tarrytown, New York, used several of the company’s proprietary technologies to search for and validate effective antibodies targeting the virus. MERS was first discovered in 2012 in Saudi Arabia. It appears that the disease spread to humans from camels, who may have themselves been infected by bats. Research has shown that it is similar to Severe acute respiratory syndrome (SARS); both are caused by Coronaviruses, both cause respiratory problems, and both are often fatal. The paper also announced the development a novel strain of mice, which will help scientists understand the disease and look for treatments. This work relied on Regeneron’s VelociGene technology to create partially humanized mice that can be infected with MERS. The South Korean outbreak began last month when a traveler returned from Saudi Arabia, and infected many people before officials realized he had the disease. So far, around 180 people have been infected in South Korea, and nearly 30 have died.